“Whether it’s in Asia, Europe, South America, or Africa, Shakespeare’s plays are happening in geographically diverse territories within their respective traditions and in their native languages–demonstrating that Bill is quite alive and well within this global context.” — Joseph MelilloThroughout 2016, performances, youth workshops, exhibitions, concerts, poetry readings, movies and more around the world continue to remind us of the wonders of William Shakespeare as countries commemorate 400 years since the death of the Bard, celebrating his life, his work and his enduring legacy. In the four centuries since Shakespeare’s death (April 23, 1616), his works have been adapted to pretty much every media you can imagine: books, plays, films, radio shows, TV series, board games, and Web series, to name but a few. While London and Stratford-upon-Avon may claim him, they have no choice but to share him, since the rest of the world wants its own private observance of the most famous and the most performed playwright of all time throughout the course of this year. You can find hundreds of events here (@S400events). One of the events that has most intrigued me is Richard II with a twist in Oxford, England. The Hip Hop Shakespeare Company (founded by MOBO winner Akala) explores the parallels between Shakespeare and modern day rappers – can you guess which of the quotes below is from which? King and Country: Shakespeare’s Great Cycle of KingsIf you’re wondering how to celebrate my personal favorite playwright of all time and are in the vicinity of Brooklyn, New York – BAM began a major theatrical event marking the 400th with the US Premiere of Shakespeare’s history plays in March. 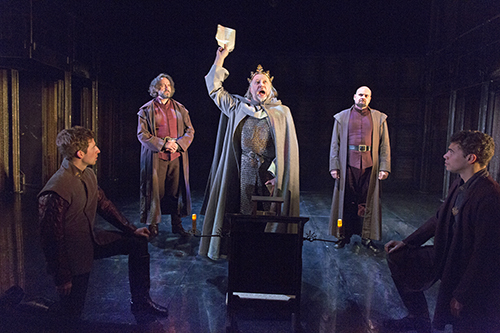 Following performances at The Barbican UK and in China (Beijing, Shanghai, and Hong Kong), Shakespeare’s history play tetralogy, comprising Richard II, Henry IV Parts I and II, and Henry V (directed by the RSC’s Gregory Doran) are in repertoire as part of an exclusive season at BAM’s Harvey Theater. The company includes Jasper Britton (Henry IV), Alex Hassell (Hal/Henry V), Jane Lapotaire (Duchess of Gloucester/Queen Isobel), Antony Sher (Falstaff) and David Tennant (Richard II). I caught up with Joseph Melillo, executive producer since 1999 of the Brooklyn Academy of Music (BAM) who is responsible for the artistic direction of the organization. Joe: Reflecting on Shakespeare’s Great Cycle of Kings: Richard II; Henry IV, Part I; Henry IV, Part II; and Henry V at BAM, what’s been the audience’s response to this unique opportunity to see these incredible RSC productions? What has surprised you most about the productions? The success of the Henriad by the RSC in the Harvey Theater here at BAM has been overwhelming, particularly because of the enthusiastic audience response (especially from the NYC theater-goers). Nearly all performances have sold out, and the actors receive a standing ovation every night. Audiences WANT beautifully produced, acted, designed and directed Shakespeare. I am specifically delighted by how well the physical production from Stratford-upon-Avon sits within the dimensions of the BAM Harvey Theater. It’s a testament to the expertise and talents of both the RSC and BAM production and technical staffs. 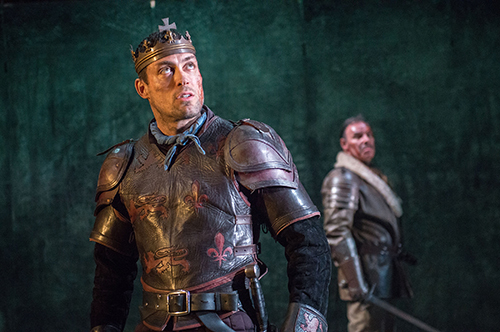 King and Country: Shakespeare’s Great Cycle of KingsSo if you had the opportunity to spend some private time with William Shakespeare, what are the questions you would most want to ask him and why? 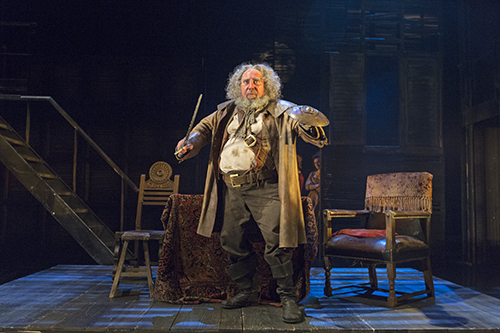 Did you create the hugely successful character Falstaff – the only non-historical major individual in the play – because he was inspired by an actor in your company, or was the creation solely a plot device? Hence, due to the character’s success in front of audiences, did you maintain/expand his role in Henry IV, Part II because you became connected to this extraordinary character you created, or was it because the actor who played the part was an audience favorite? Keeping Shakespeare Alive 400 years later: what are the innovations you are most impressed with in terms of ensuring Shakespeare’s legacy remains vibrant for new generations of fans? I’m impressed by the educational initiatives that continue to grow around the world. The RSC has a terrific program that digitally delivers content to schools, and here at BAM we have held educator symposiums and school-age performances that engage young minds and prompt discussion of his plays. Plus, new generations and fans obligate me to acknowledge the global power of Shakespeare plays. Whether it’s in Asia, Europe, South America, or Africa, Shakespeare’s plays are happening in geographically diverse territories within their respective traditions and in their native languages–demonstrating that Bill is quite alive and well within this global context. C. M. Rubin and Joe MelilloC. 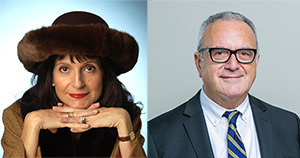 M. Rubin is the author of two widely read online series for which she received a 2011 Upton Sinclair award, “The Global Search for Education” and “How Will We Read?” She is also the author of three bestselling books, including The Real Alice in Wonderland, is the publisher of CMRubinWorld, and is a Disruptor Foundation Fellow.